Join us for open community classes! Join Director Leslie Carter and African Queens Dance Company for community classes open to the public. Beginning level dance for youth. Ideal class to develop basic dance skills, listening skills, and discipline. You'll leave this class with increased strength in your abs, legs and glutes plus an increase in balance & flexibility. Ideal class to develop strength for many other dance and fitness styles. Perfect for non-dancers & beginner levels. Dancers should wear loose but well-fitting clothing that allows the dancer to move freely, such as sweats or stretch pants and a fitted top or t-shirt that can be tucked into the dancer's pants. Dancers will dance with bare feet. Dancers should bring a water bottle and a towel to class. Water fountains are available on site. 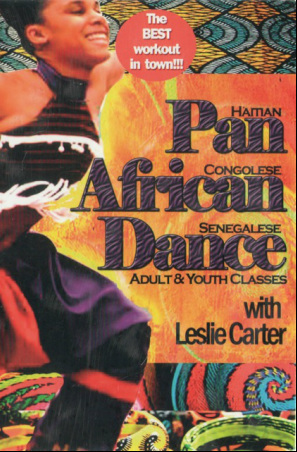 Additionally, dancers taking the Adult Pan-African classes are encouraged to bring a yoga mat for the ab and glutes floor exercises.